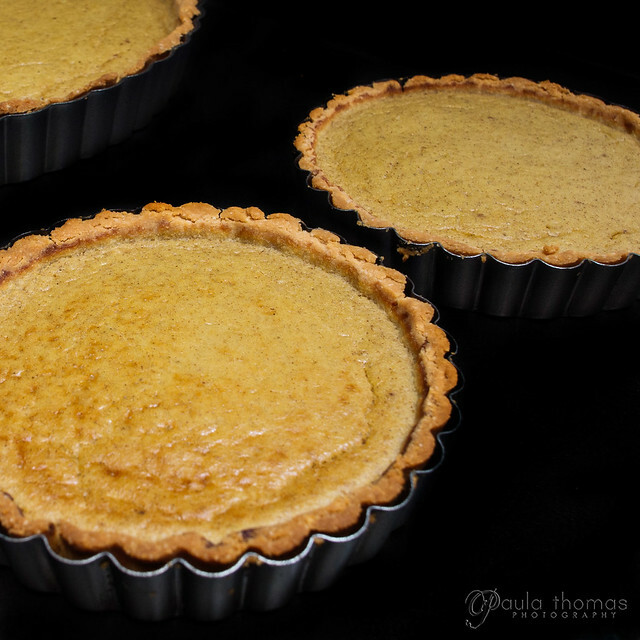 This spaghetti squash tart is both gluten free and sugar free. I made spaghetti squash pie several times last year but hadn't made it in tart form until this year. I tried a different crust recipe this time that has a few more flours and an egg and it seemed to hold together a little better than my previous attempt. I loosely followed a recipe I found on myrecipes.com for Savory Gluten-Free Tart Crust. I did make a few changes to the original recipe. I substituted 1/2 cup of coconut flour for brown rice and omitted the pepper and herbs. I didn't have any millet flour but I did have a small amount of millet that was just laying around in my cupboard. I'm not even sure what I bought it for. I decided to grind it up into a flour and it turned out to be just enough. Spaghetti squash is a good alternative to pumpkin. 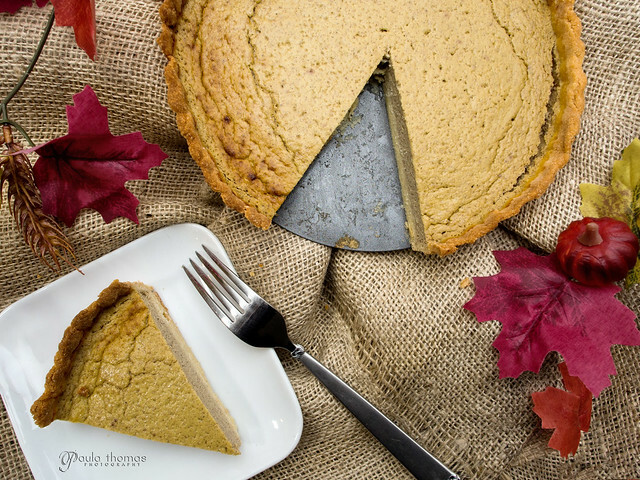 It has a similar flavor but a little more mild and with pumpkin spices added to it you would hardly be able to tell the difference. Pulse first 5 ingredients in food processor until combined. Add butter and pulse until butter is pea sized. Combine egg with 1 tbsp of ice water. Add the egg mixture to flour mixture and pulse until dough comes together. Add more water if needed. Transfer dough to work surface and knead two times. Form a ball and flatten into a disk. Wrap in plastic wrap and refrigerate for at least an hour. Remove from refrigerator and divide dough in half. Place one half back in fridge until ready to use. 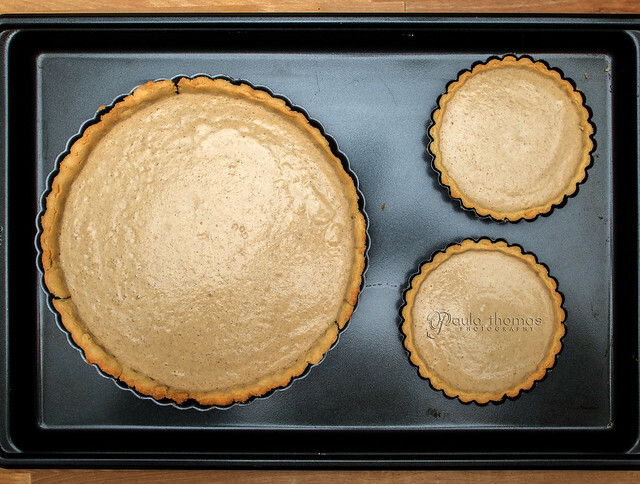 One half should make a large tart crust or 3 small tart crusts. Sprinkle brown rice flour on both sides of dough and roll between two sheets of wax paper until 1/8" thick. 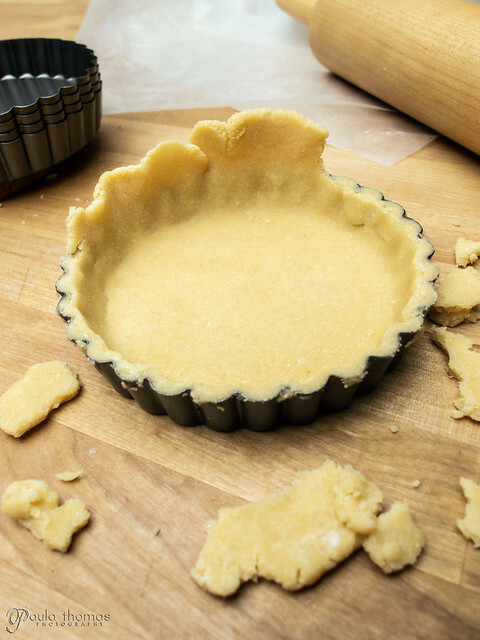 Remove wax paper and place on top of tart pan, gently patting the dough into the pan and removing excess dough from the sides. Bake in preheated oven for approximately 15 minutes or until lightly browned. Remove from oven and cool on wire rack until filling is ready. To cook spaghetti squash, cut in half, remove seeds and membrane with a spoon. Put cut side down on a cookie sheet and bake at 350°F for 45-60 minutes. squash should be tender when poked with a fork. Let cool and shred out inside of squash with a fork. 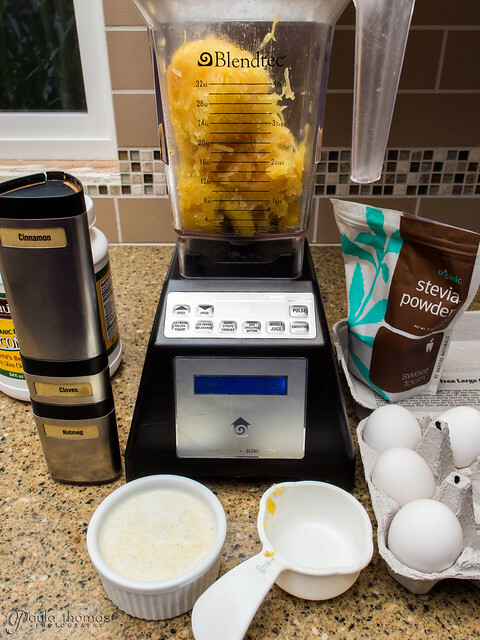 Put all ingredients in a blender or food processor, and blend until thoroughly mixed. Add to prepared pie crust. Put it in the preheated oven, and bake it for 30-40 minutes, or until it doesn't jiggle when you reach in and shake it. Let cool on wire rack. I can't wait to try this. My boyfriend is diabetic, so I'm always on the lookout for good treats he can eat. I'd never seen a spaghetti squash before I got one recently in my organic veggie box. I actually used it to make homemade vegetable ravioli, but next time I think I'll use it on its own.